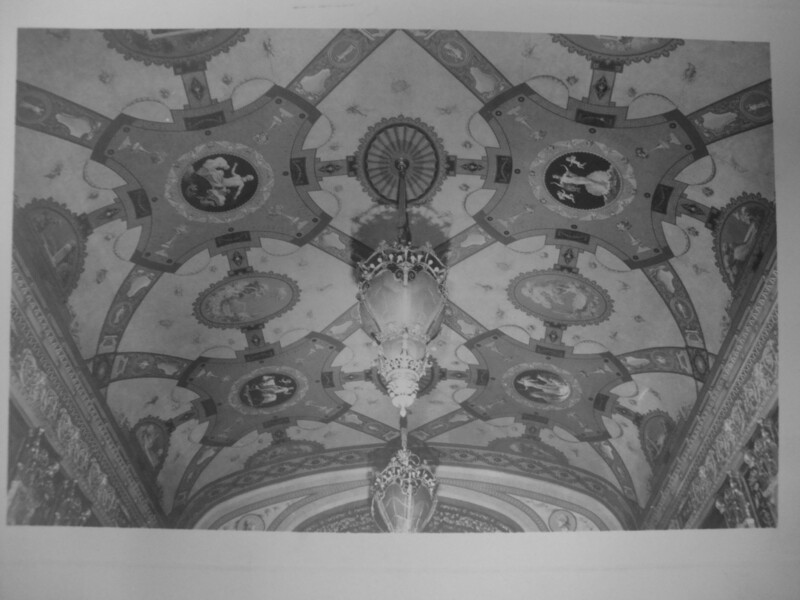 All ceilings and walls depicted here were hand painted oil on canvas by Grell and his team of assistants. 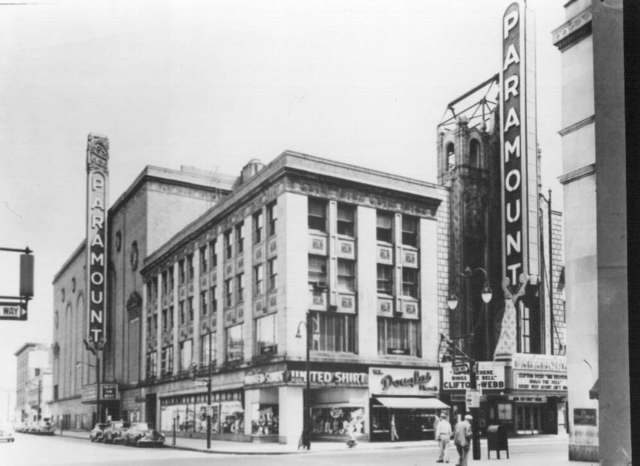 Opening night for the Toledo Paramount was held on February 16, 1929 to a packed house with Paul Spor dressed in a white military uniform acting as Master of Ceremonies. 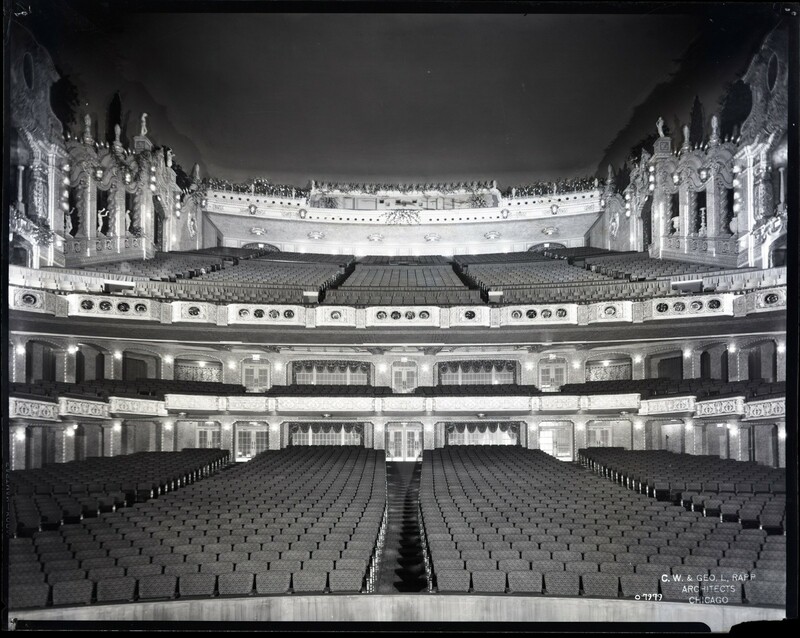 Music was in abundance throughout the massive structure, the main focus being Wilye Stahl, conducting the Toledo-Paramount Orchestra who was aided by Dwight Brown on the mighty Wurlitzer organ. 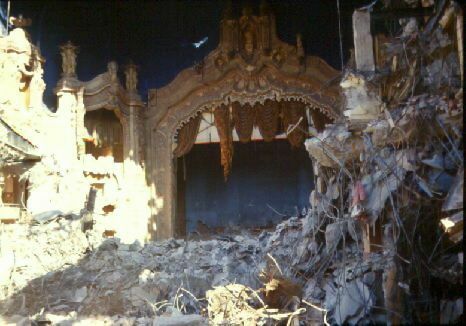 The opening feature film was Redskin starring Richard Dix. 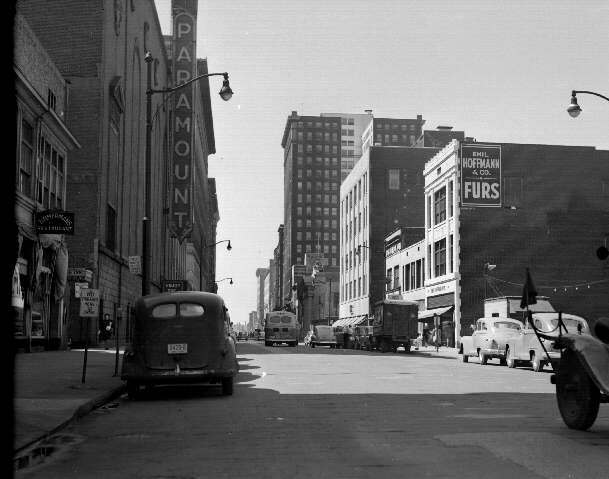 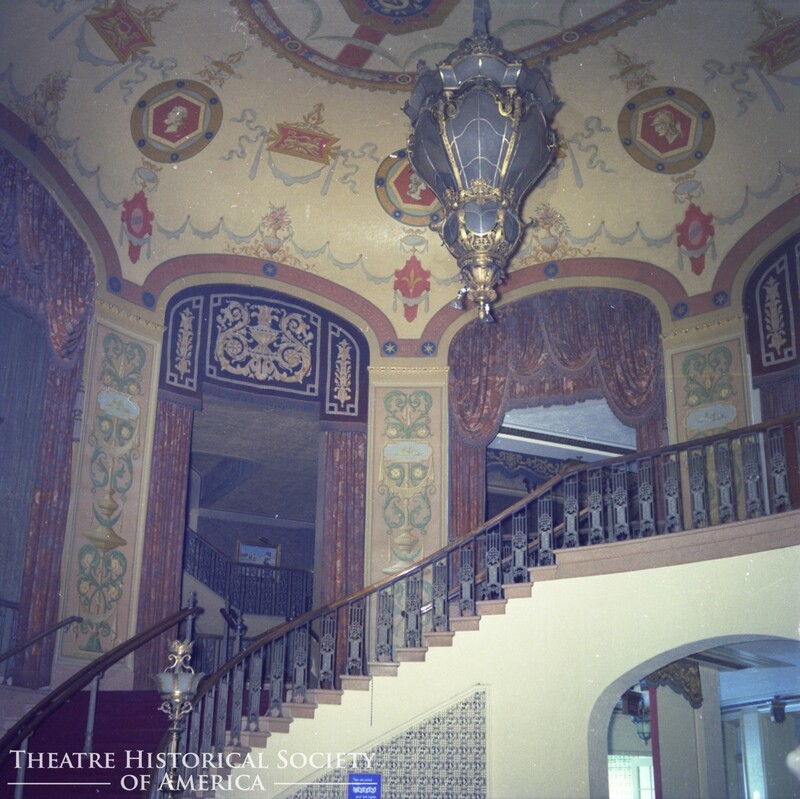 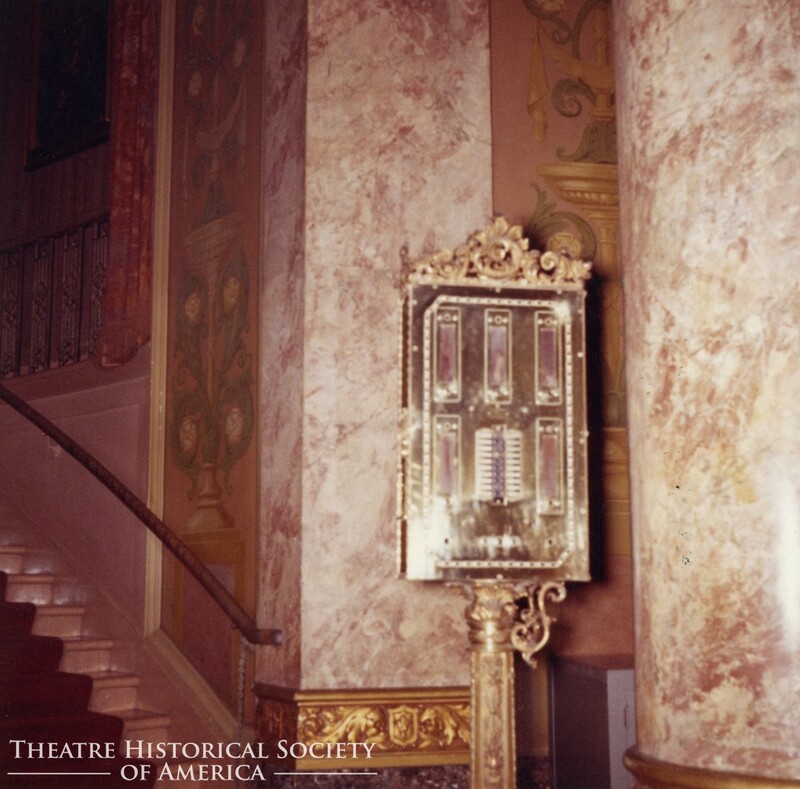 The Toledo was another Publix Theatre managed by Paramount Famous Players-Lasky Corporation of New York owned by Adolph Zukor and by President of the Publix Theatre Corporation’s Sam Katz of Balaban & Katz, of Chicago. 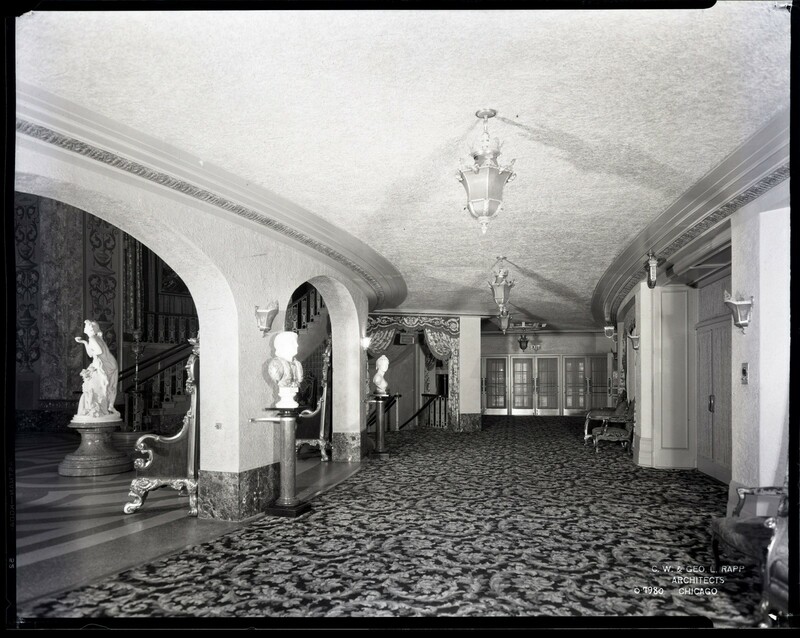 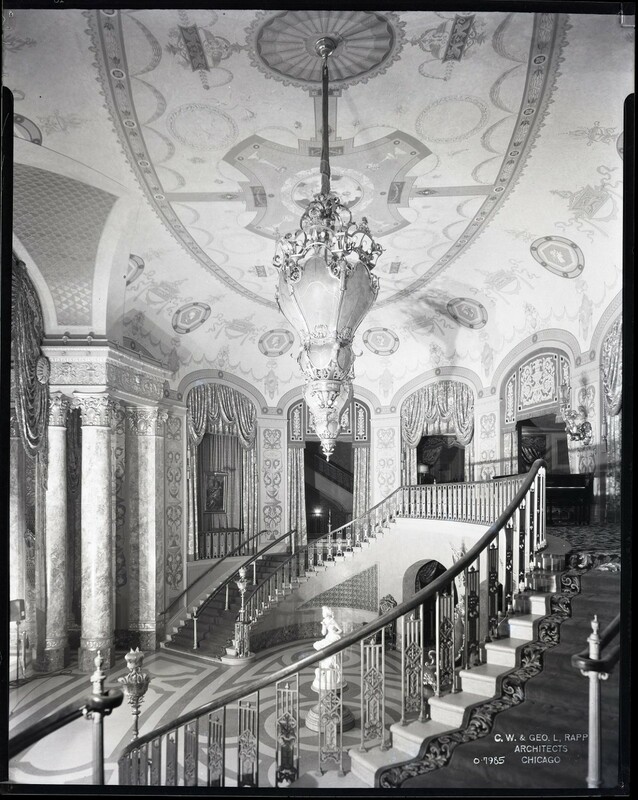 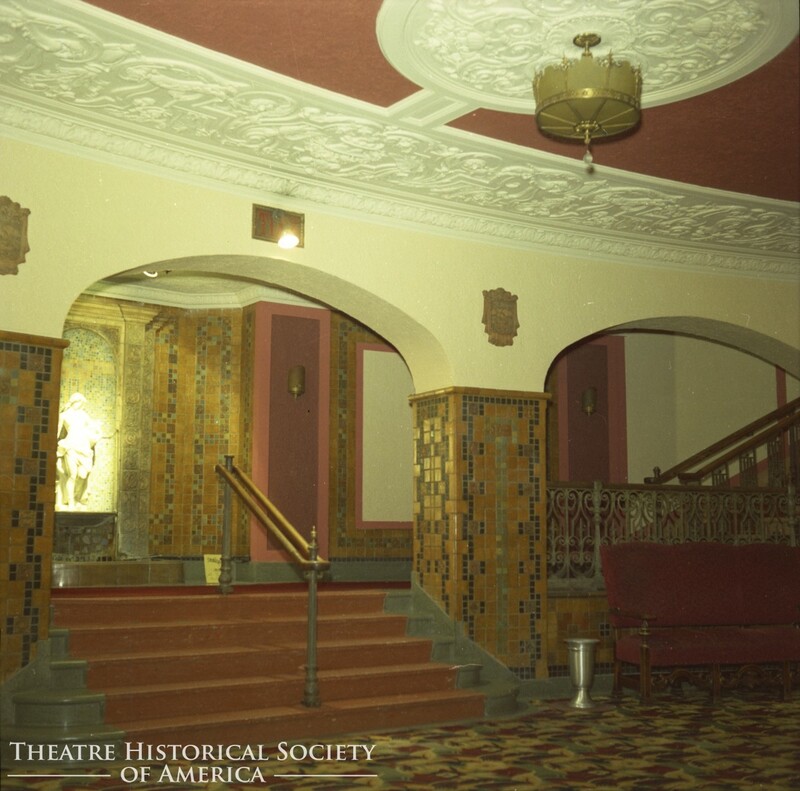 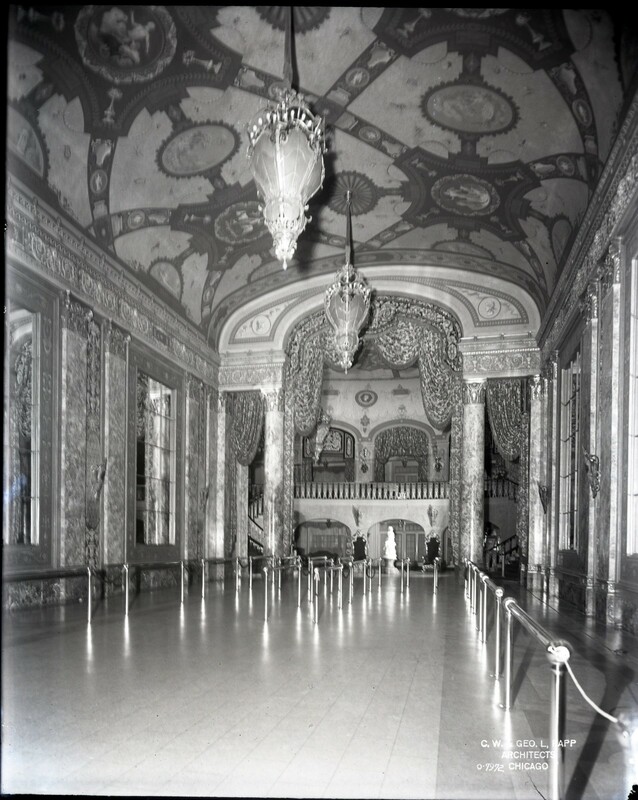 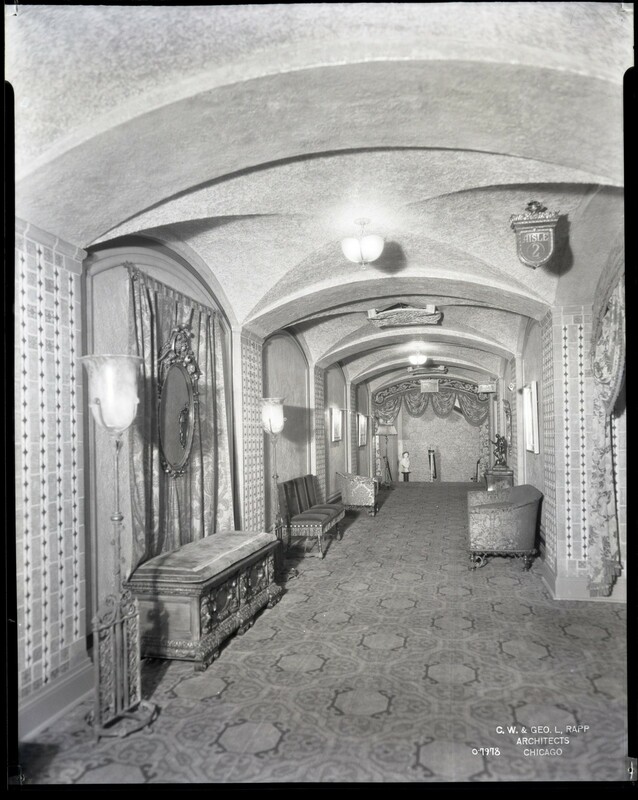 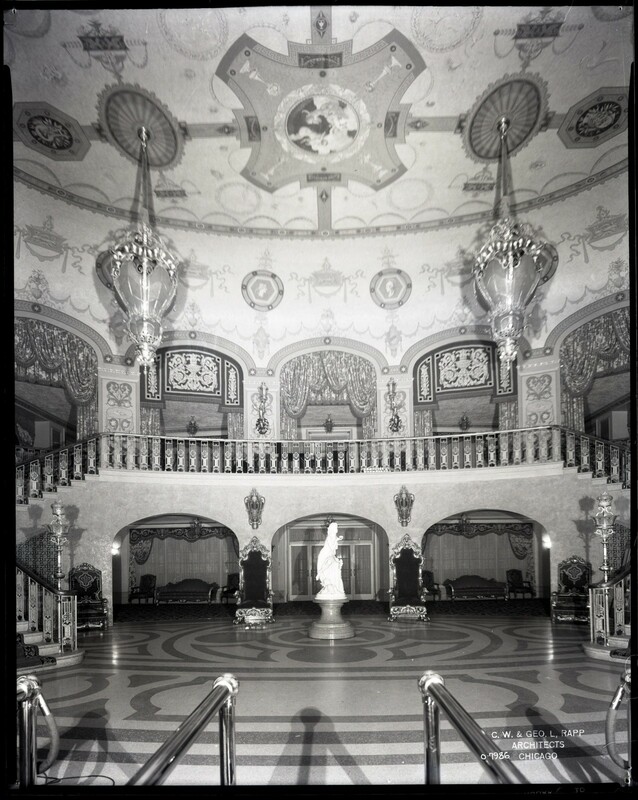 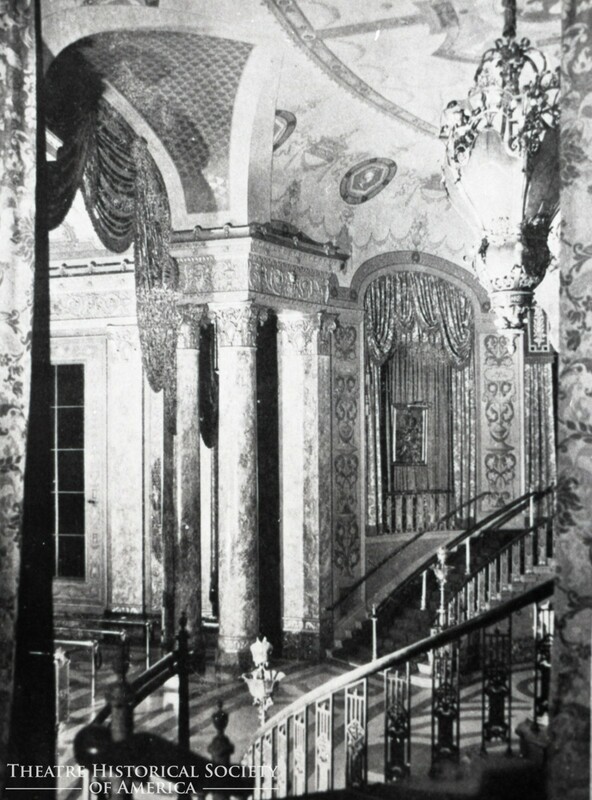 As was familiar with many Rapp and Rapp designed movie palaces, the theatre patron entered off a busy downtown corridor street into a grande lobby beyond which a grande rotunda or foyer was constructed. 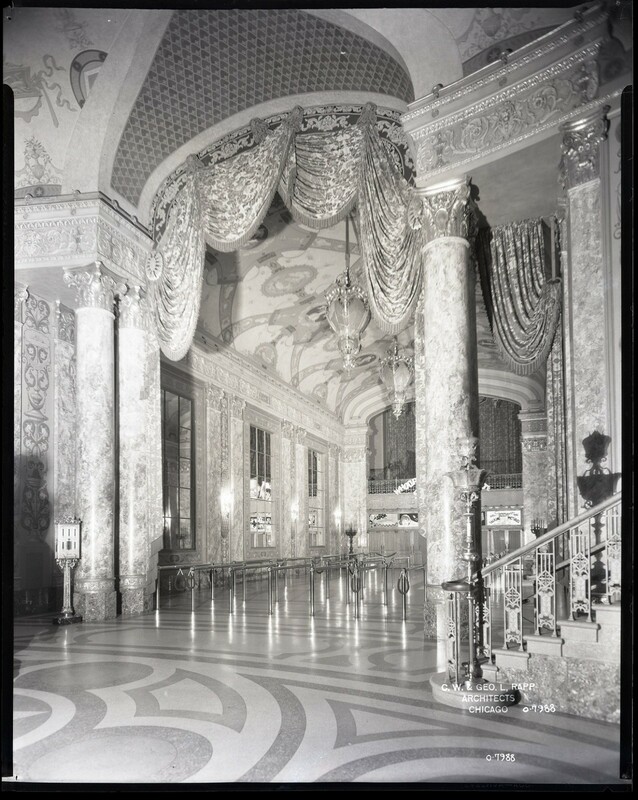 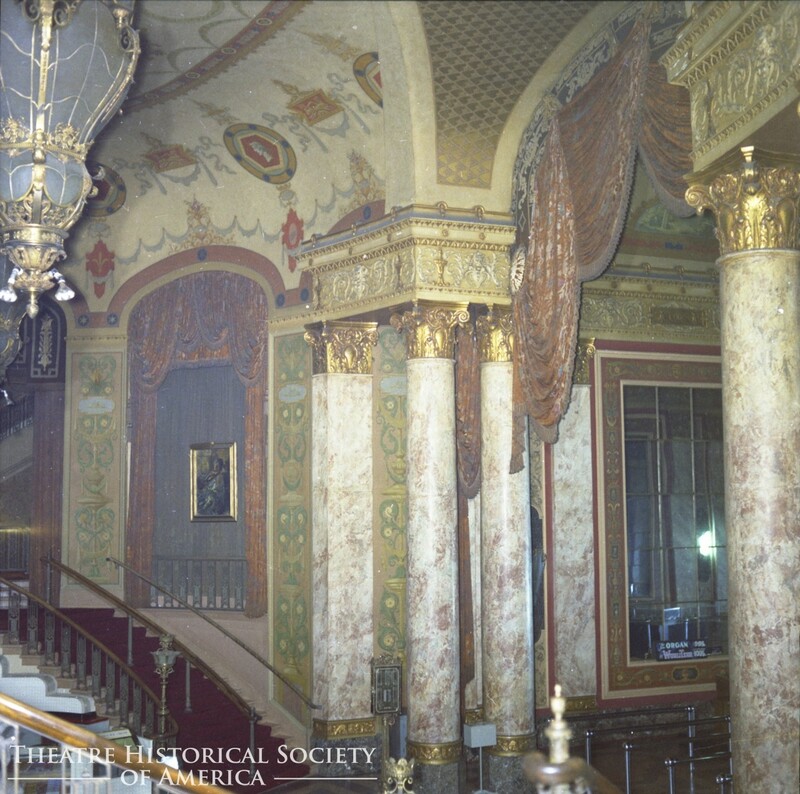 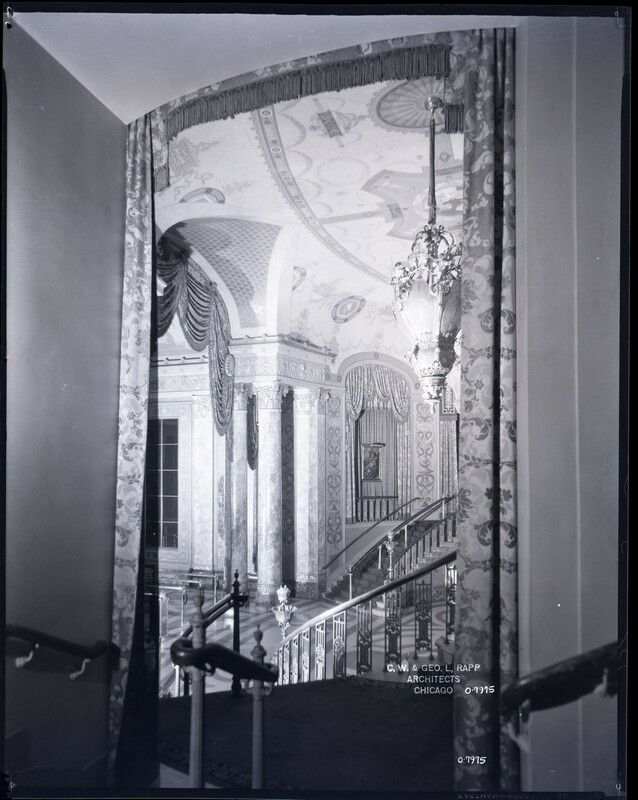 The lobby was nearly one hundred feet long and lined with mirrors surrounded by hand painted details by Grell and his team of assistants. 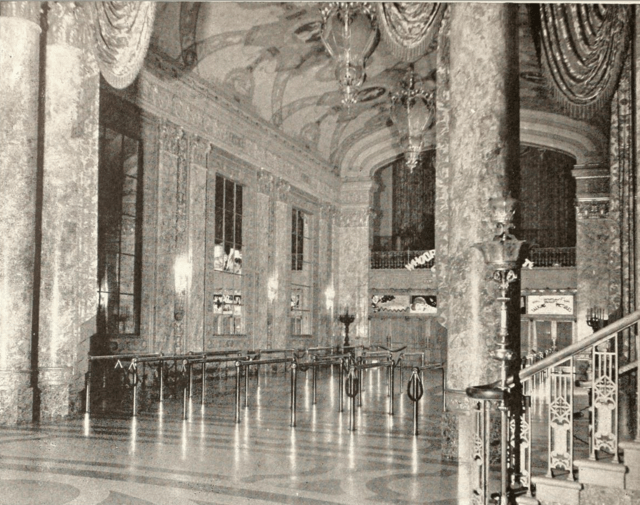 The entire Grande Lobby and expansive Rotunda walls and ceilings were designed and hand painted by Grell. 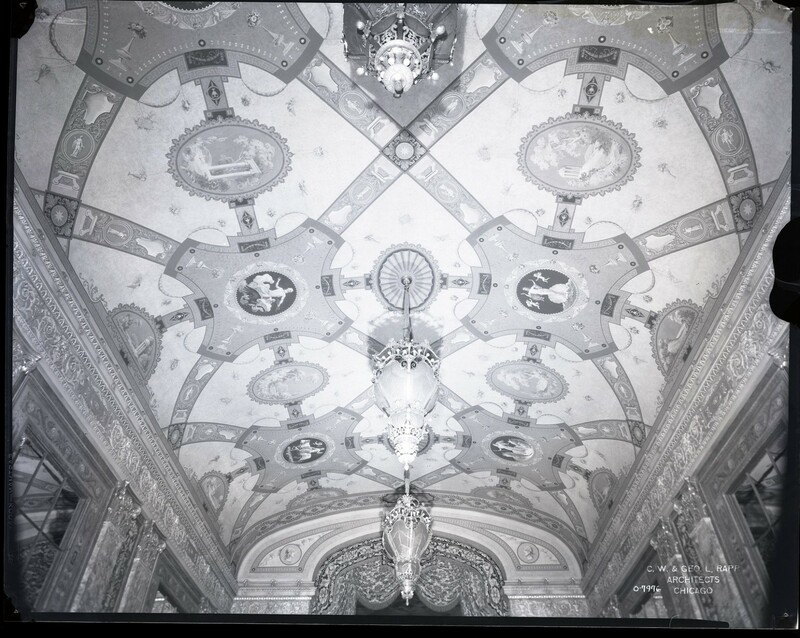 Intricate swirling and looping patterns connecting Greek and Roman figures and landscape scenes were reminiscent of Pompei. 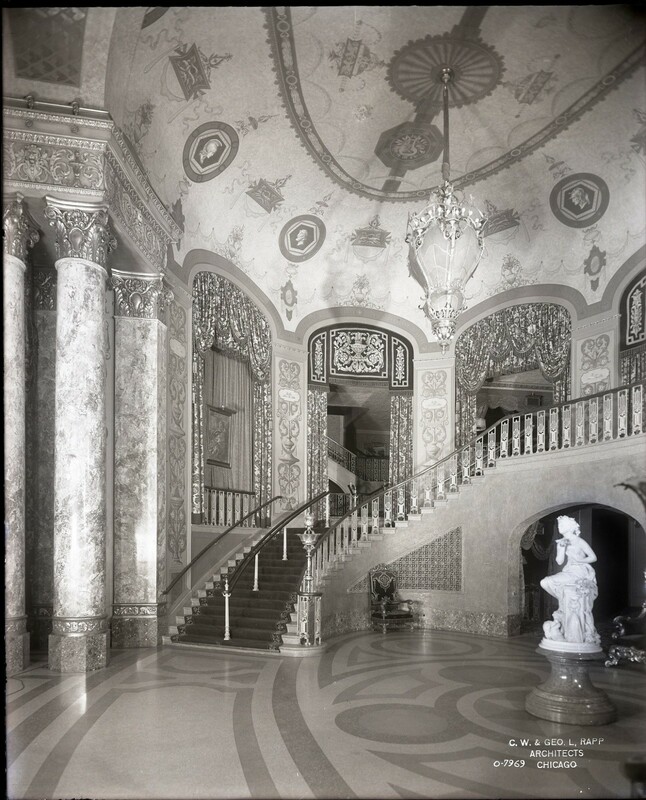 The entire theme was modeled after the Villa Madama in Rome, designed by Julio and Giovanna Udine and was likely influenced by Grell’s travels in Italy from 1912 to 1916 after he finished his studies at the Royal Academy of Fine Arts in Munich. 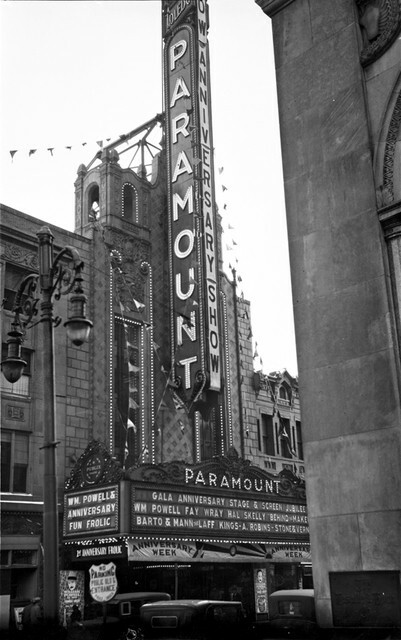 The Toledo Paramount was the only theatre in the Publix chain that incorporated the city name into the design of the marquee. 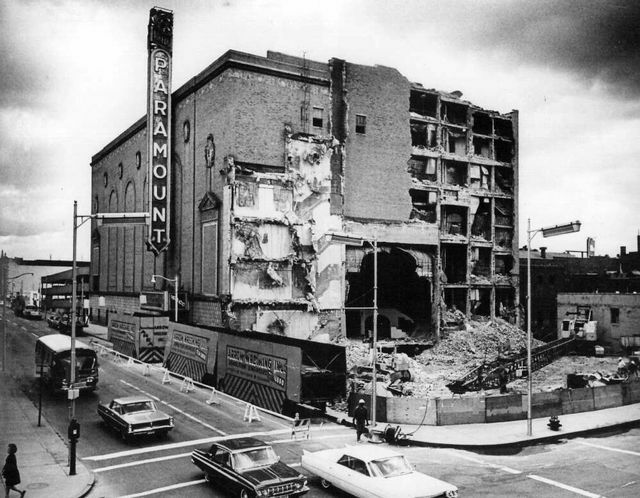 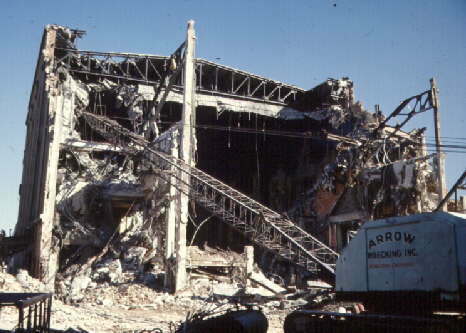 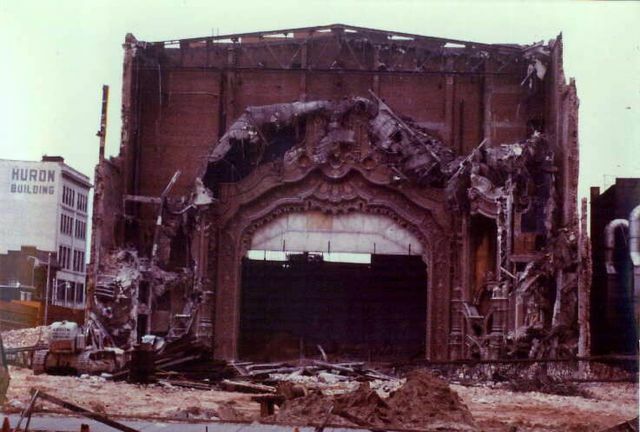 The Toledo Paramount was in operation from February 1929 until September 1965, only thirty-six years when wrecking balls razed the elegant beauty. 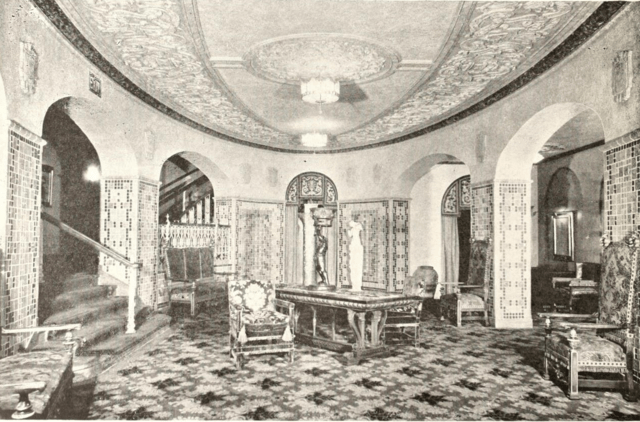 An auction preceding the razing was held when all the interior furnishings were sold to the highest bidder. 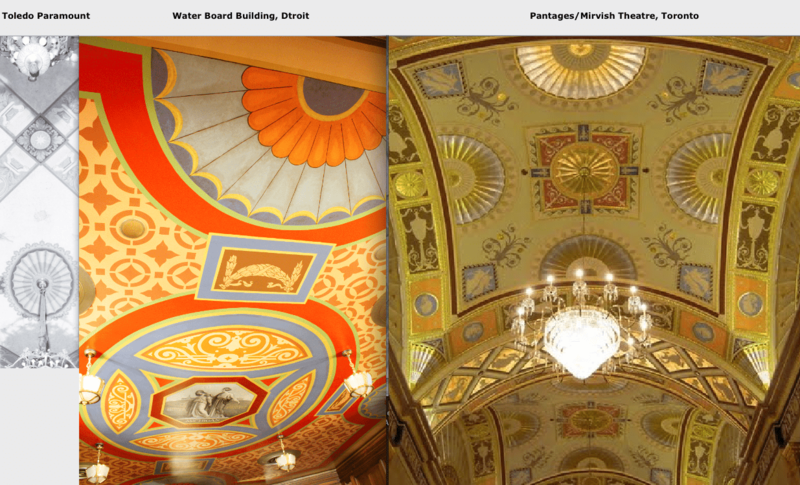 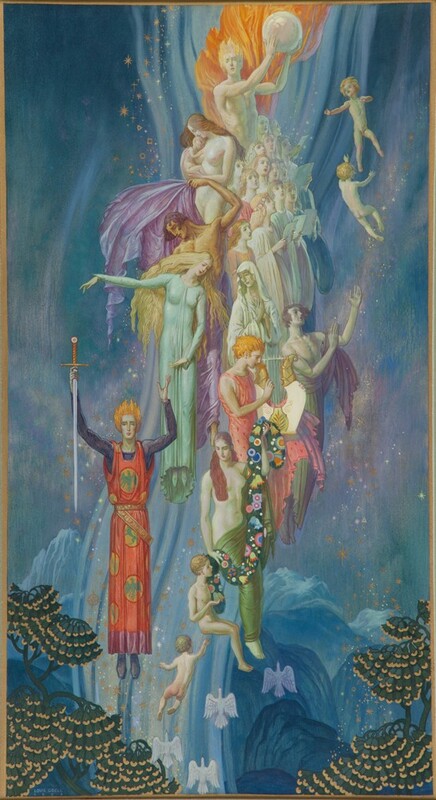 During the first half of the twentieth century, Grell was one of only a handful of American muralist capable of creating such expansive projects that often covered entire ceilings of the grande lobbies and rotundas (see also the Gateway Theatre, Chicago & Assumption Catholic Church, Chicago). 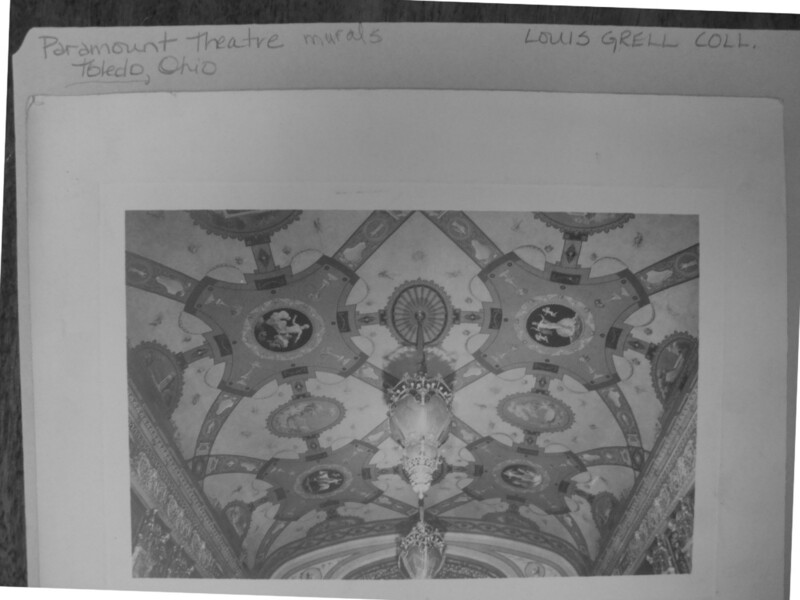 These large projects reportedly took up to eight months to complete requiring Grell to employ as many as eight assistants. 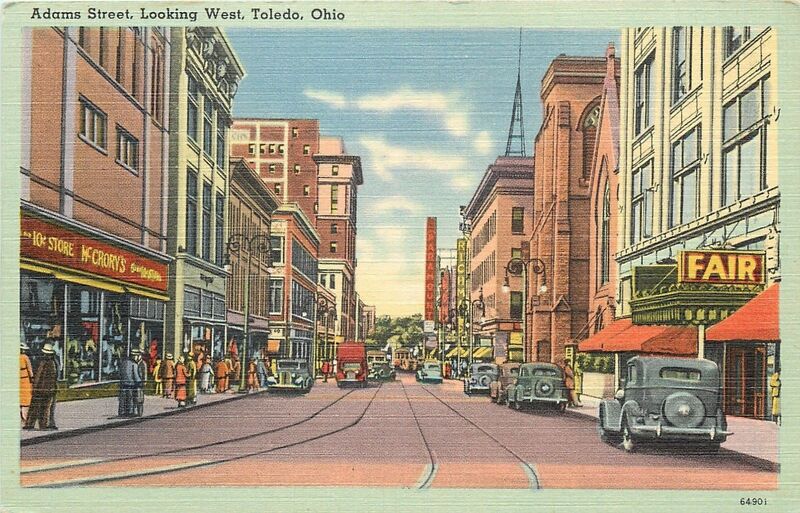 Now seen in full color with stunning reds, greens, oranges and blues. 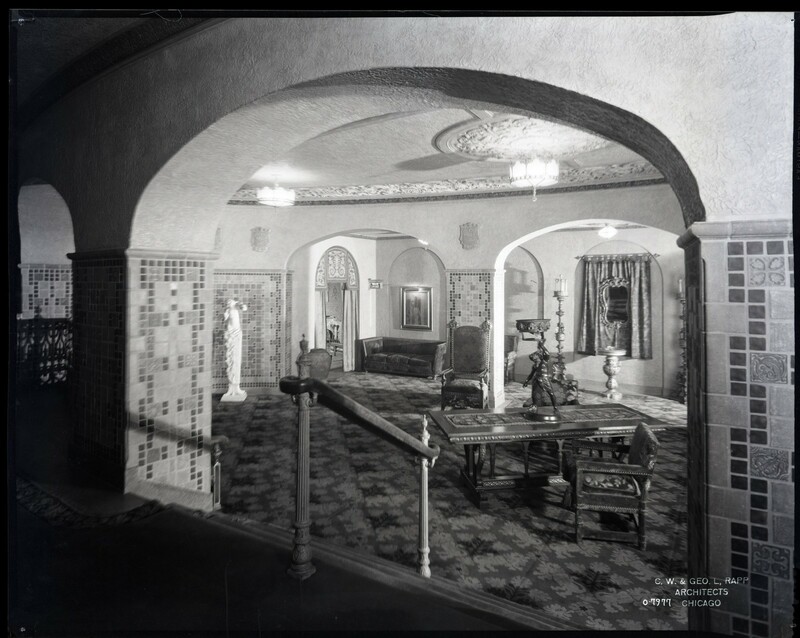 Color and black & white interior images courtesy American Theatre Architecture Archive, Theatre Historical Society of America. 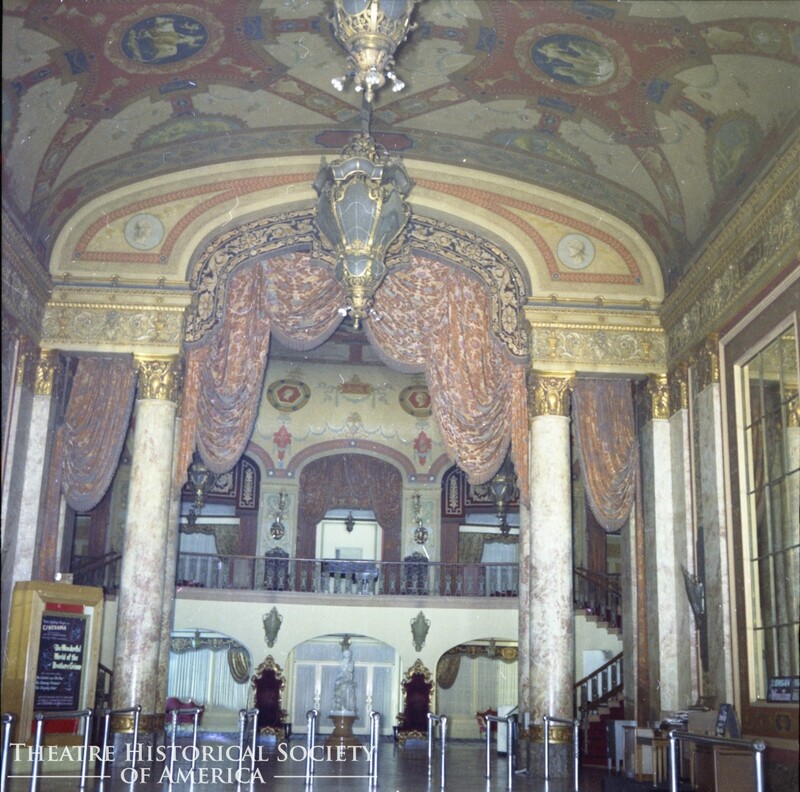 Color images are from the early 1960’s.